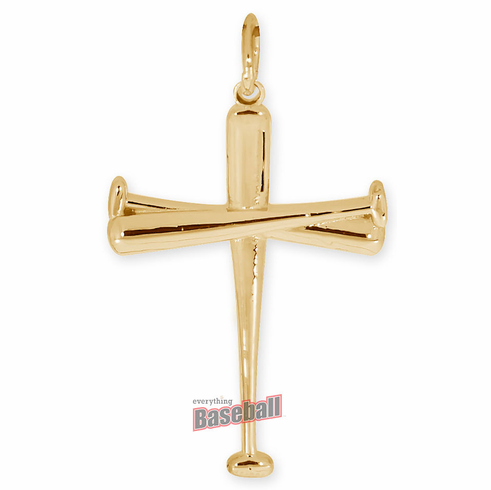 High polished baseball bat cross pendant charm! Measures appx. 3/4" wide x 1 1/4" tall. Solid 10K Yellow or White Gold - $349.95 each. Solid 14K Yellow or White Gold - $399.95 each.